Visual Visitor has created an easy to use, WordPress Plugin. This plugin simplifies the installation of Visual Visitor even more so that your company can quickly benefit from the services of anonymous visitor identification. 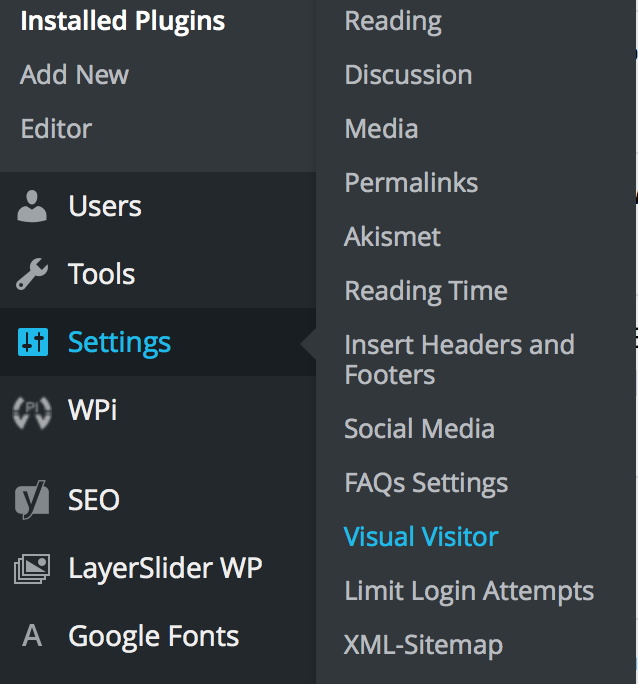 Go to the Plugins section from your WordPress dashboard. At the top of the window, click on Add New. Click Choose File and then choose the file downloaded in the first step – visual visitor-plugin.zip. Click the Active Plugin option. Now to the main menu and click on Settings, then Visual Visitor. This will bring up your Visual Visitor configuration window. 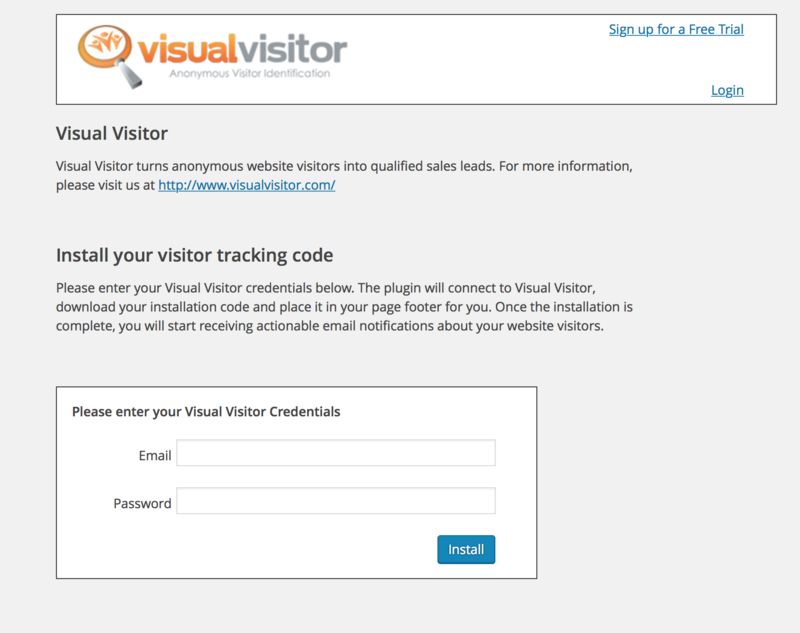 Finally, enter your email address and password that you created for your Visual Visitor account. Haven’t signed up for your 14 day Free Trial of Visual Visitor yet? No problem!